John D. Lohfink passed away peacefully on March 25th 2019 at his home in Wildwood at the young age of 90. Born in Oklahoma, the family moved to Sublette, Kansas which he called home. In 1948 he enlisted into the U.S.Navy where he served “PROUDLY” for 20 years and retired as boatswain's mate. He worked several jobs well past the civilian retirement timeline to the age of 80! He was active in Boy Scouts, Neighborhood Watch, Gurnee American Legion, Square Dancing, Gurnee Mall Walkers, Norstate Bank Ambassador club. His favorite hobby was socializing, extensive traveling & camping, especially in his R.V. Also surviving are John’s children daughter Cathy Watson & husband Darryl, son Ken & wife Sue Lohfink and son Jeff Lohfink. John had many grandkids & great grandkids! John was the youngest of 4 children. Preceding him in passing are Matilda, Flossie & LeRoy. Also preceding him was his wife, Betty Jean (Truitt), for 64 years and mother to his 3 children. 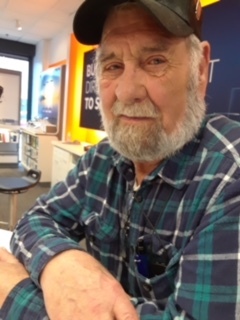 Visitation will be on Saturday, April 6, 2019 from Noon to 2:00 P.M. at Warren Funeral Home located at 1475 N. Cemetery Rd. Gurnee, IL. A memorial service will be held at 2:00 P.M. Father James Merold will officiate. Donations in John’s name can be made to the American Heart Association.